Oh goodness! We ALL struggle with these three terrible habits that prevent us from reaching greatness in life. I’m so happy to feature Joyce, a successful mom blogger, as she shares her tips to overcome these three bad habits. I know it’s hard in the beginning. I know blogging can be scary. But don’t let fear prevent you from starting a blog, interacting with other amazing moms and letting your creativity shine!! You want to start a blog; you even get excited about the idea of creating that new adventure like so many others before you. Then you stop on your track and later decide against it. All because you have given into 3 bad habits that stop moms like you from starting a blog. I’m a Latina married mom of 4 kids living in southeast Pennsylvania. My kids’ ages are 19, 7, 4, and my baby just turned 1 and as you can see I’m a busy mom. Two of my kids are special needs, and I run a blog about finances and creating a home adventures for busy moms who are financially stressed like I was! To back up a bit, I was former retail manager for a big box company, and I worked for that company for over 15 years. One day I needed a major change and decided I wanted to stay at home with my kids. The problem was that I was the money maker in our family and quitting my job will affect our family income. I was also struggling financially due to my lack of bad money management. I decided that paying my debt, changing the way I was living was key for me to become a stay at home mom. With hard work and determination and a lifestyle change, I was able to stay at home with my kids and live with less money. But this wasn’t a happy ever after ending. Somehow the transition from working mom to stay at home mom was not as easy as I thought. I mean I was no longer the money maker of our family. I felt like I wasn’t contributing to our family by staying at home. Could we manage to stay focus on our debt journey now that I was home full-time? I developed three stay at home mom bad habits that were bringing me down. It was during one of those moments when I felt down that I decided to create a blog and write about my new at home adventures. The good, the bad, and the finances! During my new blog adventure, I wrote how we managed to kill my debt and how I became a stay at home mom to my 3 kids at the time. I found out that I wasn’t the only one that was struggling with the same issues I was struggling. Many people wanted to hear what I had to say and many of them found what I had to say helpful.  Then my little blog started to earn a small income that helped our family with extra things our main income couldn’t provide, and it was then I decided to take this blogging business serious. This was when I realized I needed to let go of these three bad habits that were preventing me from starting a blog before and go for it full force. So, what are these bad habits that stop moms from starting a blog? Keep reading because you are about to find out. Insecurities were my number one reason I didn’t get ahead with my blog at first. I felt like I wasn’t good enough, I wasn’t a good writer, and people would not like what I had to say. The truth is that starting a mom blog is a learning experience. Even after many years of blogging, I am still learning. And you know what happens when you practice and do things over again; you get better! The world of blogging is a constant learning journey that not only evolves your blog, but you also evolve as a person. Insecurities can stop you from achieving anything in life, and this can prevent you from starting a blog as well. My advice is to put those insecurities aside and start that blog you always wanted. It is possible to do it because I am here proving that to you. The fear that once you start your blog you are going to fail stops anyone on their track to be honest. Just like in life, in the blogging world failures will happen. You pick yourself back up learn from your failures and keep going. Would you make mistakes? Absolutely! We do all the time, and we learn from them and keep going. If other bloggers gave up to their fear of failing they would not be around today blogging today; don’t let the idea of failing stop you from starting your blog. Quick Tip from Suzi: Just imagine what you can achieve if you just start today. All bloggers have mistakes and failures, but with consistent effort, you can build a successful and profitable blog. How Can You Prevent Blogging Failures and Mistakes? The truth is that blogging will make you money, not just overnight. It matters on how hard you work at it and how bad you want it that the blog will bring you money sooner. 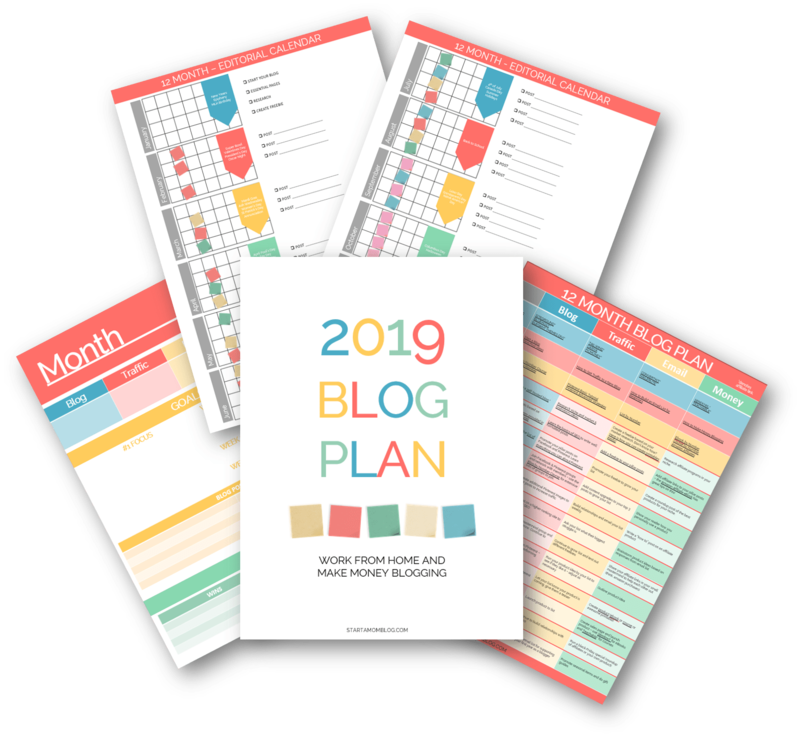 Suzi provides 12 Month Step by Step Plan to Build a Successful Blog that works. It is up to you to implement these steps, and you will start seeing results. You can get this resource for free when you subscribe to her email. When I started to blog, I didn’t have any goals set all I wanted to do was start a blog and help people out and somehow make a little money in the process. Not having goals or a plan when I started took me longer to make money and add my insecurities it was a bad combination. I read a book called How to Blog for Profit Without Losing Your Soul, and this book changed the way I blogged and helped get back into my blog and take it to the next level. You see, my goals and my focus weren’t realistic at all. I set short-term goals and only focused on those, not the long-term goals. My suggestion is to take the time to write down goals that are realistic and reflect you not someone else. Focusing on just short-term goals and not your long-term goals and how to get there will cause you to fail. Create a long-term goal break it down into smaller goals to help you achieve it! Remember, you blogging goals when starting your blog should reflect you, not someone else. This is your blog journey, not mine! When you start a blog, it is so easy to compare yourself to successful bloggers and honestly don’t compare the beginning of your journey to the middle or end of someone else’s journey. Comparing yourself to another blogger will cause you failure. This is your blogging journey only not someone else journey. Another bad habit that prevents moms from starting a blog is being afraid to invest on their blog. When people ask me how much money I had to invest to start my blog many people don’t believe me. They also don’t believe that I don’t spend as much time on my blog either! Here’s the truth about blogging, you are in control. Let’s talk about investing money on a blog for a minute here. Blogging is very affordable to start, very affordable. All you have to do is research, and like many things in life, you have to shop around. 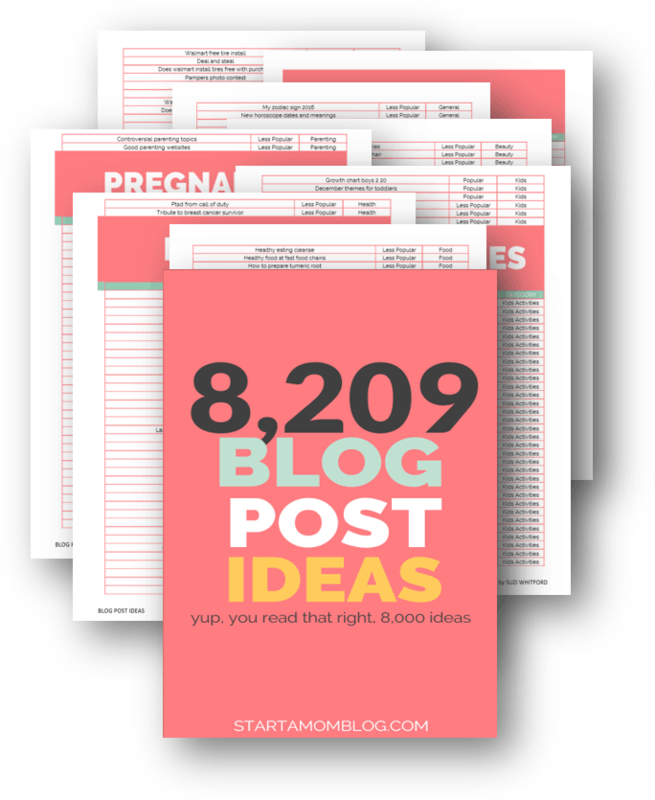 Again, Suzi provides blogging resources to help you get started, and that won’t break the bank. Investing in your blogging will continue to happen as your blog grows, but if done wisely it won’t break the bank. Realistically you have to put time on your blog and the time you put into your blog has to be worth it. Just like any business, you have to work hard to make it successful, but it’s how you use your time and execution during that time that will make your blog successful. As moms, we want to dedicate as much as we can to our family and spending hours on a blog is just not something many moms want to do. 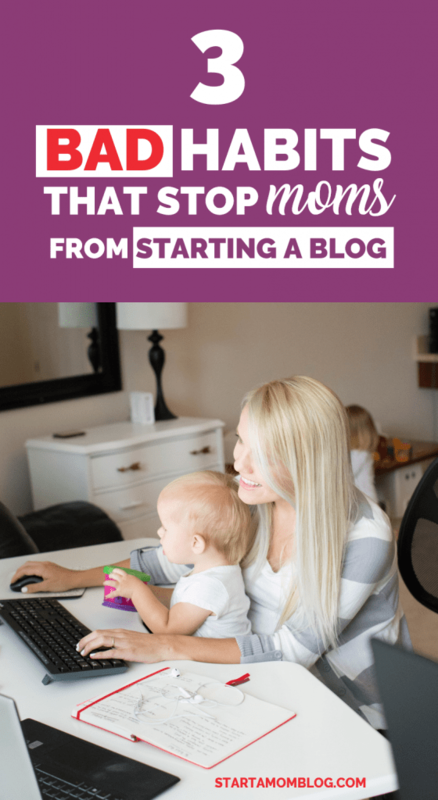 It seems that investing time and money to start a blog scares many moms away from starting their own blog and this doesn’t have to happen. The key is to use your money and time wisely when it comes to starting your mom blog. Start by doing research and create a plan and execute the plan. I worked hard when I started my blog and wasn’t seeing much results. One thing I will tell you is that it is so easy to waste money on books, courses, and other things because we think it will take our blog the next level. Yet, we don’t take the time to use these tools to execute them. If you don’t invest on your blog wisely, then you are going to be spending too much money and too much time and not seeing the results you expected. How comes other moms spend less time on their blog and see success versus other that spend way too much time and see fewer results? Again, they are using their time wisely! Quick Tip from Suzi: At the end of my 3rd pregnancy I started asking my husband for more and more help on my blog. Together we work on making it a success. Here is how using our time wisely has helped us create income reports at almost $40,000 for this blog. I can tell you that during 2016 I didn’t blog as much half of the year because we welcomed our little boy, I had an emergency surgery, and had PPD. Thanks to my blog I was able to focus on myself and my family without worrying about finances and that I had to be “there” for my blog. This is the beauty of having a blog and the reason I encourage moms to start a blog. Don’t Let Bad Habits Stop You From Reaching Success! These are my top 3 bad habits that stop moms from starting a blog and I can say this because I was that mom. For a long time, I let my insecurities get in the way. I fear failure, and when I did take the plunge to blog, I failed at a few things to pick myself back up and kept going. I was afraid that starting my blog was going to affect our finances and take time away from my family and I can tell you that our family is thriving four years after starting my blog. Don’t let your insecurities, failure, and worrying about investing time and money scare you from the beauty that is blogging. Drop these three bad habits and start a blog today. Your turn: What are your bad habits preventing you from starting a blog? 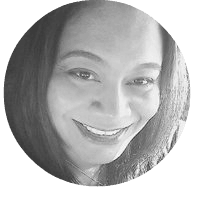 I am a former single working mom, wife, blogger, and now stay at home mom who is making an income staying home and writing about creating a stay at home adventure for everyone to enjoy without breaking the bank. Great tips! I totally identify with feeling intimidated investing both money & time into my blog. There are so many demands and it can be hard to balance. Thanks for the encouragement to use my time wisely and stay focused! Thank you Brennan! <3 I still feel intimidated too and double think all my purchases... Glad this encouraged you!